Street vendors or future convicts? A video showing three young children who appear to be street vendors beating a man sleeping on the steps of the Bartley building has raised concerns about who exactly is responsible for these kids. The video was posted by Ruddy Bartley on youtube with the title, Samoa Street Kids 3am, 06 Dec 16 caught on CCTV. Mr. Bartley asked the question of who is responsible for these kids if their parents, family, villages and church have failed them. The children – all boys range from 7 years old to 12 years old. 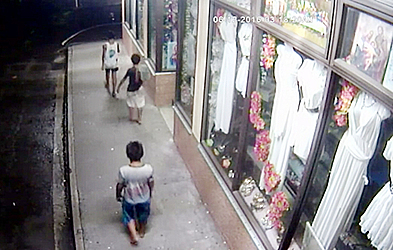 They were captured on the CCTV camera walking barefoot between the Bartley building and the S.N.P.F. building. One of them who also looks like the youngest of them all had a small bag. At around 3.18am on 6th December 2016 the three kids came across a man sleeping on one of the steps at Bartley building. One of the trio stood infront of the man and tried to retrieve something from him that woke him up. Before the man could sit up one of the boys slapped him on the face and ran to the other side. It didn’t stop there. The three kids then returned to the man who just sat there with his hands on his head and started kicking, punching and hitting him with the bag. One of the security guards, at S.N.P.F. Plaza, Fa’asalafa Masinlaupe Tini believes the victim is mentally ill. He said the man is very quiet and he usually sleeps in the area. Just like other mentally ill people roaming Apia, Fa’asalafa said the young vendors throw rocks at them and call them names. A lot of people feel sorry for the young vendors selling goods on the streets especially late at night. But don’t be fooled by their young age. Workers of the S.N.P.F. Plaza described the young vendors as nuisances at their nightlife. Fa’asalafa said the young children roam the town area from night until morning. He stressed the need of addressing the problem before its too late to deal with them. 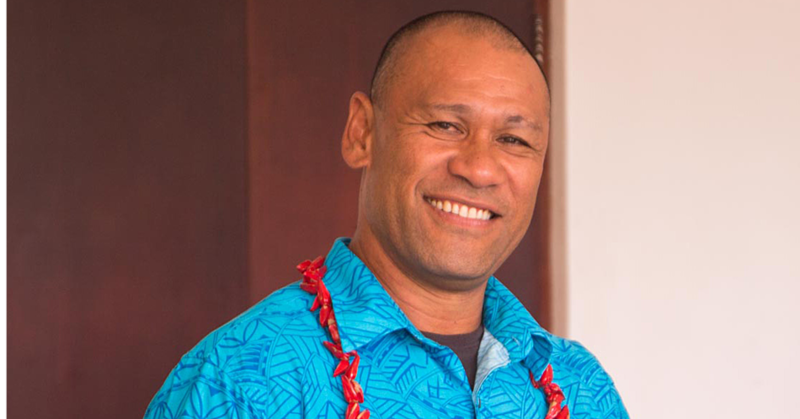 “They used to sleep in front of Coffee Bean and we would chase them away,” he told the Samoa Observer. “I was shocked when I saw them occasionally hanging around here with beer bottles and smoking. The youngest would be about 8 years old going up to their teenage years. The security guard said the children are not only harassing people but also have foul mouths and disrespectful. He recalled that on most nights when they are asked to leave the area they would swear at him and tease him. 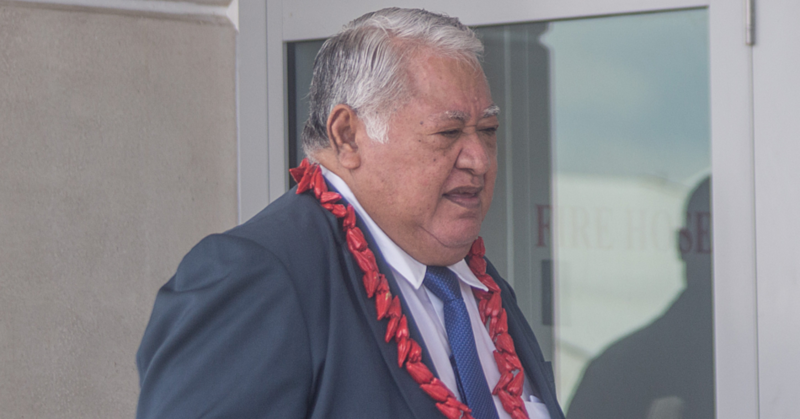 Fa’asalafa blames parents for the problem. While he acknowledges that government is doing its best to solve the problem he believes that parents have allowed their children to roam the street late at night. The security guard suggested that police should continue their patrol from late night to early morning hours. He pointed out that police stop their patrol after clubs close around 1am while the young vendors are still causing trouble up to early hours of the morning. Another security guard, Liki Ah Sam shared his view about the problem. He said the parents may say they are poor and the reason why their children are selling on the streets but he doesn’t believe them. “They say they are poor but if you hear what they say to people who do not buy from them and how they sound like young prisoners,” said Mr. Ah Sam. Mr. Ah Sam who is a security guard at the old N.P.F. building said the mothers of the children play poker infront of C.C.K. building. He explained that while they are enjoying their card games they send out their children to pester people. “They don’t care about their children and their behaviour towards the public,” said Mr. Ah Sam. “I have seen it with my own eyes. One day one of the kids got slapped by another man for being cheeky and that was when the mother came out and started swearing at the man and throwing things at him. 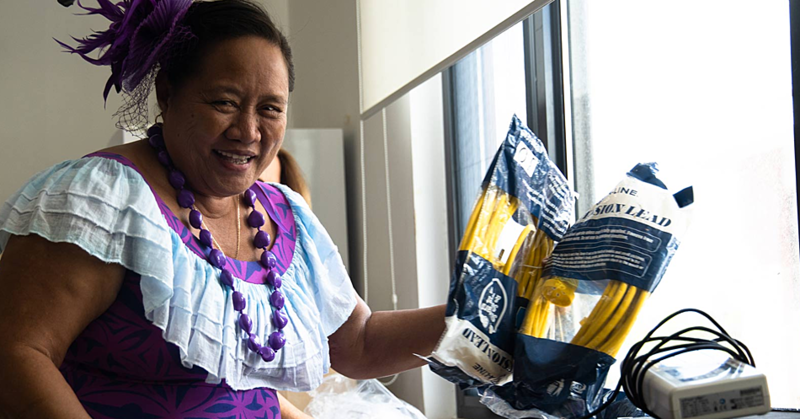 Moso’oi Fa’atuuala also shared her experience with the young vendors. The mother who is a cleaner at the S.N.P.F. Plaza said everyday the vendors are always harassing people. She recalled a few weeks ago when a 10 year old was taken by police. “That kid pissed in aplastic bag and threw it down where some adults were sitting here,” said Mrs. Fa’atuuala. “It was disgusting and if only I could catch him. The security officers chased him and when he was caught he was taken to police and saw him a few hours after.